A minister charged taxpayers more than $2,300 so he could attend a Hillsong mega church conference with his wife, who later became a Pentecostal pastor. Assistant Treasurer Stuart Robert was a guest speaker at the Pentecostal church's Hillsong Conference Nights event in Sydney, in July 2015. The Liberal minister delivered a 'Pillars of Influence Masterclass' lecture on how 'innovative individuals' are 'influencing their pillar with the message of Jesus'. The then assistant defence minister claimed the travel entitlements for the event even though it had nothing to do with his portfolio. 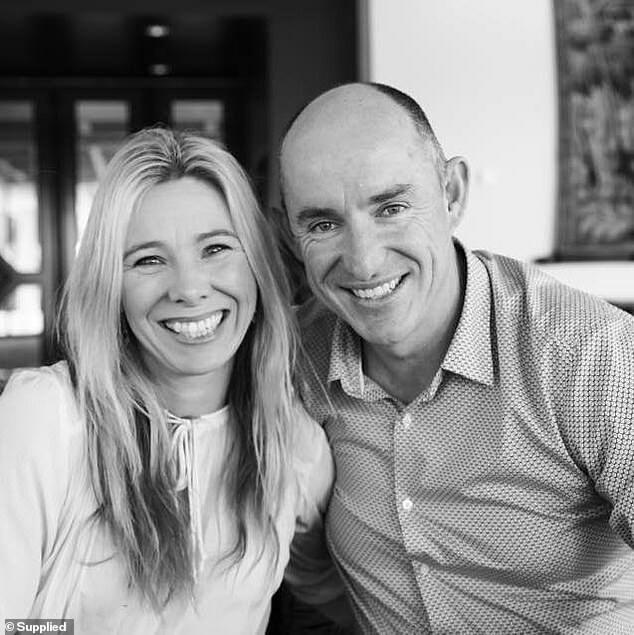 Taxpayers stumped up $2,326 for his travel and accommodation, including $672 for his wife Chantelle, who has since become a Pentecostal pastor on the Gold Coast, Department of Finance records showed. Mr Robert claimed the travel as 'official business'. Ministers usually meet bureaucrats or stakeholder groups related to their portfolio during such visits. 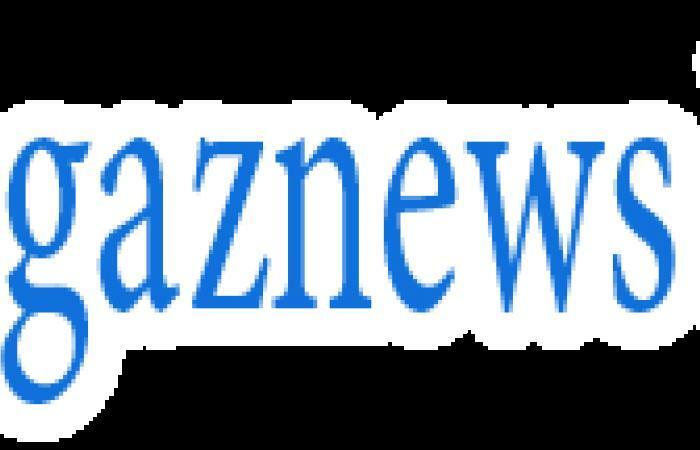 In this case, however, he was asked to represent the government at the five-day Hillsong conference. 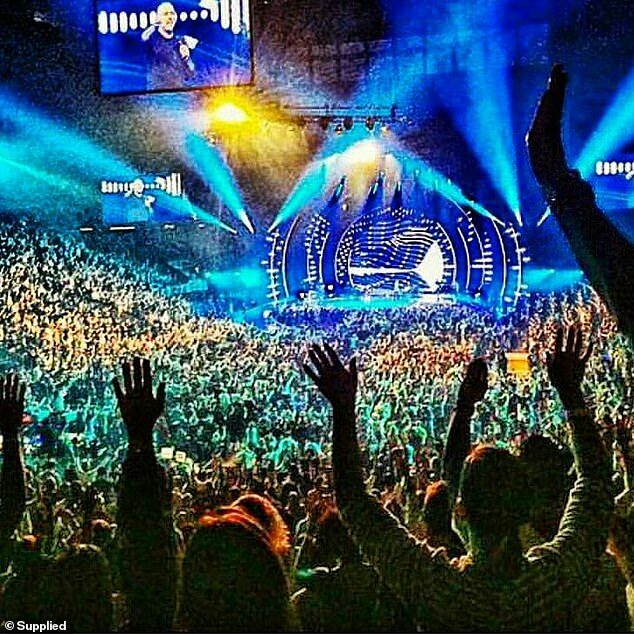 'The Hillsong conference is the largest of its kind in Australia,' Mr Robert told Daily Mail Australia. 'The theme Pillars of Influence Masterclass was addressed by speakers from both the government and non-government perspectives. 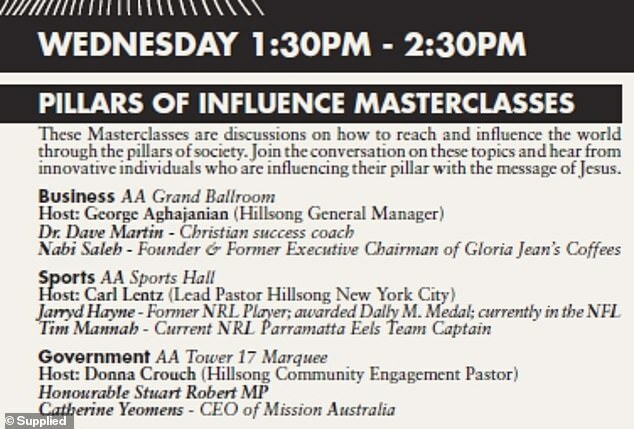 On July, 1 2015, Mr Robert delivered a lunchtime lecture during a segment billed as the 'Pillars of Influence Masterclasses' on a panel with Mission Australia chief executive Catherine Yeomens. 'These masterclasses are discussions on how to reach and influence the world through the pillars of society,' a Hillsong flyer from 2015 said.